Whether you want a room makeover, color direction, finishing touches, a seasonal room refresher or a grand plan, Spa Decorating is there to help you. 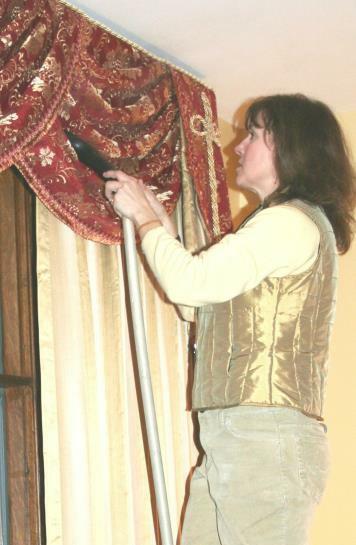 We will gladly meet with you in your home or our store to elucidate your personal style and create an individual design solution to suit your needs and desires..
Spa Decorating specializes in custom draperies and valances, as well as custom bedding and fabric accessories. Let us help you create any window effect that you'll love. With Spa Decorating you'll experience expert design assistance, professional measuring, choice of fine fabrics and trims, unlimited treatment styles, quality workmanship and custom installation.